Check out our guide to the top three puppy pads for disabled dogs. Get a peekeeper. 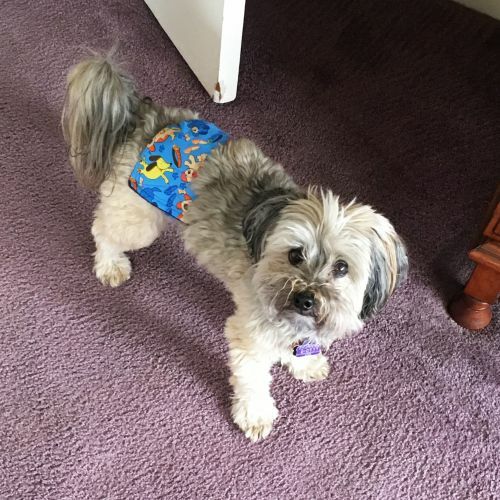 It will hold your dogs diaper on while they play, otherwise as soon as your pup starts to get excited and scoot around the diaper will slip right off and you'll have pee all over your floors.